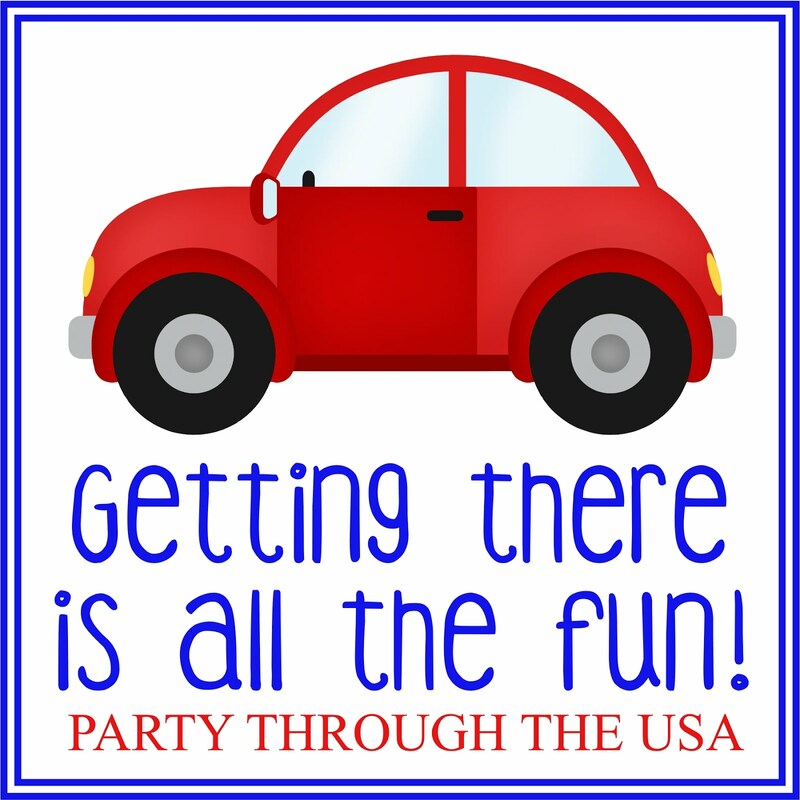 Our road trip is coming up soon, so I thought I'd give you a peak at all the fun things I've put together for my kids. First, the four year old girl (Dragonfly). 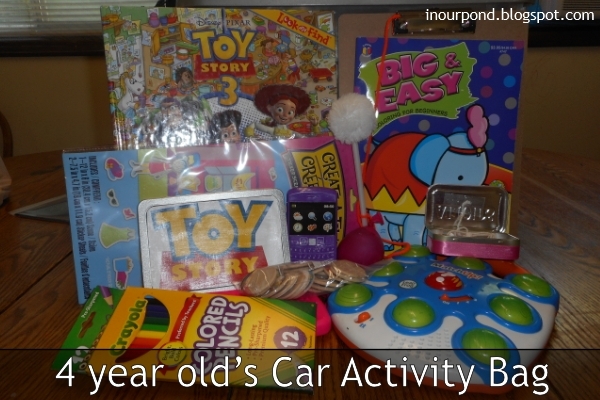 I bought her a car activity tray (Amazon), which I think will be a helpful addition. I also have a stash for "hotel toys," a random bucket of toys that are always in the car, and a pile of glow sticks for night travel. 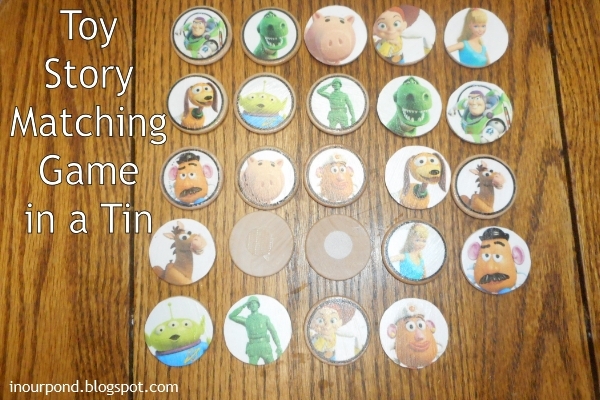 The Toy Story characters came from Spoonful (here). I printed them, cut them out, laminated them, and cut them out. Then, I stuck the characters to a magnetic sticker sheet (Wal-mart) and cut them out again. 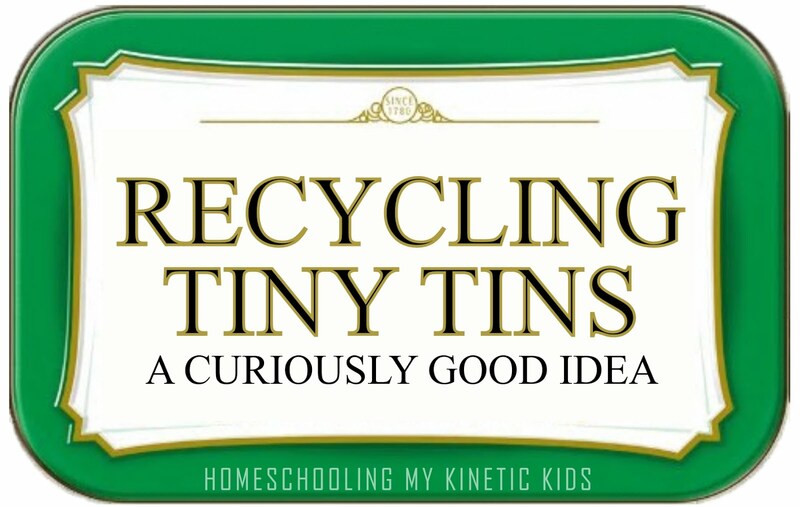 The background was printed from a Google search and modge podged to the tin. The black part is a magnetic sheet for additional storage. Sorry that the picture is so bad- I think it's the modge podge mixed with florescent lights and camera flash. Yuck! 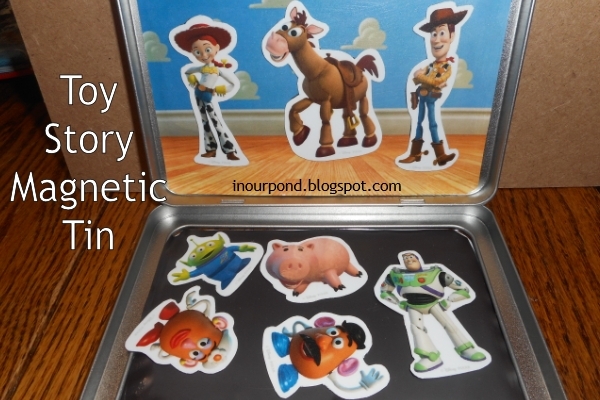 Anyway, this is a Toy Story matching game. I used the cupcake toppers found at Over the Big Blue Moon (here). I modge podged them onto 1.5" wood disks that I bought on Etsy. I also added velcro dots on the backside in the hopes that it would be more car friendly. As an added bonus, the velcro sticks so well that it gives everyone who plays the game extra fine motor skills practice. Another bad picture- ugh! This is an experiment as I've never tried anything like this with Dragonfly before. 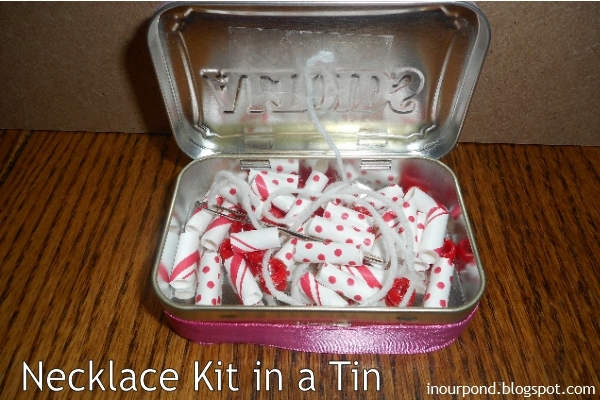 In my re-purposed altoid tin, I taped a piece of yarn, which has a large, dull, metal needle tied onto it. Their are a few red pony beads and cut up paper straws for threading. I'm hoping that the activity tray will keep the activity contained and that she'll get a lot of playtime from it. I'll do the boys' travel bags another day.